Oreo Balls are an easy no-bake treat made with crushed up Oreo cookies, cream cheese, and chocolate. Oreo Balls are a favorite Christmas or anytime treat! If you are an Oreo cookie fan, you are going to LOVE these easy Oreo Balls. You only need three ingredients: Oreo cookies, cream cheese, and chocolate! That is it! 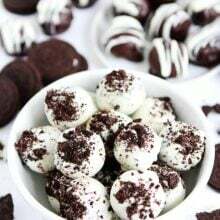 Oreo balls are fun, easy to make, and will remind you of a chocolate truffle, but instead of a chocolate filling, you get a rich, decadent Oreo cream cheese filling. 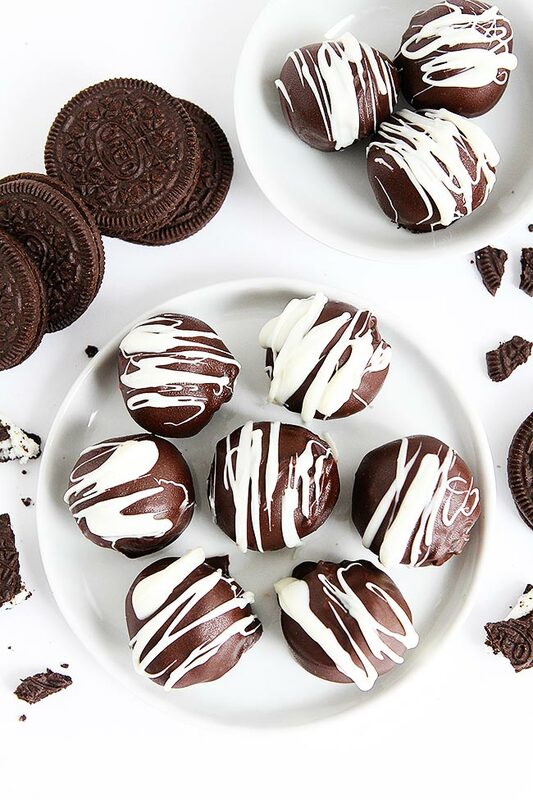 Oreo truffles are insanely delicious! Here are a few tips for making the perfect Oreo truffles. Use the whole Oreo cookie, crisp chocolate cookie and white filling. Place the cookies in a food processor and pulse until you have small cookie crumbs. Make sure there are no big cookie pieces. Make sure your cream cheese is soft. If it is too cold, it won’t mix into the Oreo crumbs easily. Use a mixer to combine the Oreo crumbs and cream cheese. I like to use my stand mixer, but a hand mixer works well too. 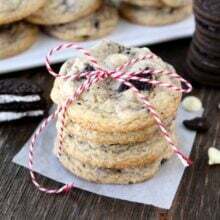 Roll the Oreo cream cheese mixture into small balls and place on a baking sheet or tray that has been lined with parchment paper or wax paper. Freeze the balls for 15 minutes. You MUST freeze them so you can dip them in chocolate. If you don’t, you will have a mess. Melt the chocolate wafers in the microwave in a small microwave safe bowl. Follow the instructions on the package. You can use candy coating or almond bark too. Chocolate chips don’t work as well because you want a thicker coating to cover the Oreo balls. I like to do a mix of chocolate and white chocolate. You can do just one chocolate if you wish. Dip the balls into the melted chocolate, making sure the balls are completely covered. I like to use a fork to lift them out of the chocolate, then I shake from side to side to remove the excess chocolate. Place the Oreo balls back on the lined baking sheet or tray. You can decorate the tops with a drizzle of extra chocolate, crushed Oreos, sprinkles, crushed peppermint, or chopped nuts. Or you can leave them plain! When they are all dipped and decorated, place the baking sheet or tray in the refrigerator and chill for at least an hour. How Long do Oreo Cookie Balls Last? Make sure you store the Oreo balls in an airtight container in the refrigerator. If you leave them on the counter, the chocolate will get soft. You want to make sure they are chilled until ready to serve. The Oreo balls will keep in the refrigerator for up to 3 weeks. You can also freeze the Oreo balls for up to 2 months. If you are going to stack the Oreo balls, make sure you put parchment paper or wax paper in between the balls. 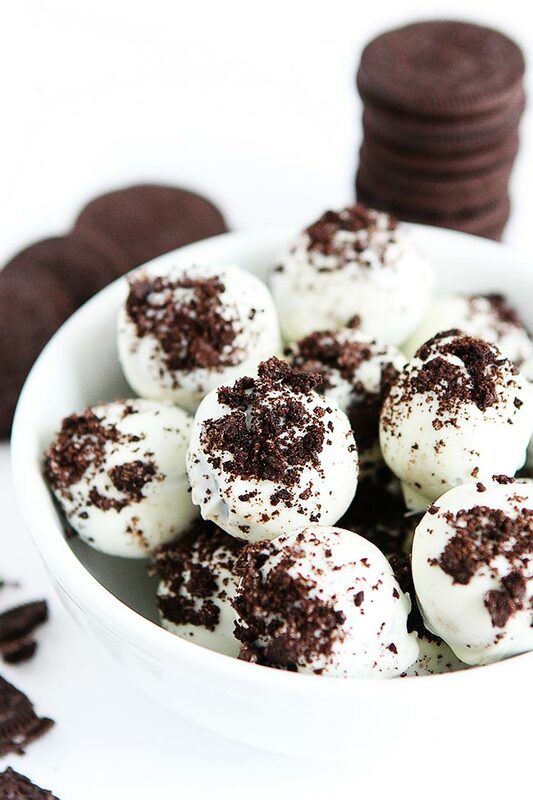 You are going to love this easy, 3-ingredient Oreo Balls recipe! Make a batch for your friends, family, neighbors and don’t forget to make some for yourself too! They are a favorite no-bake treat at our house and the perfect treat for the holiday season! Enjoy! 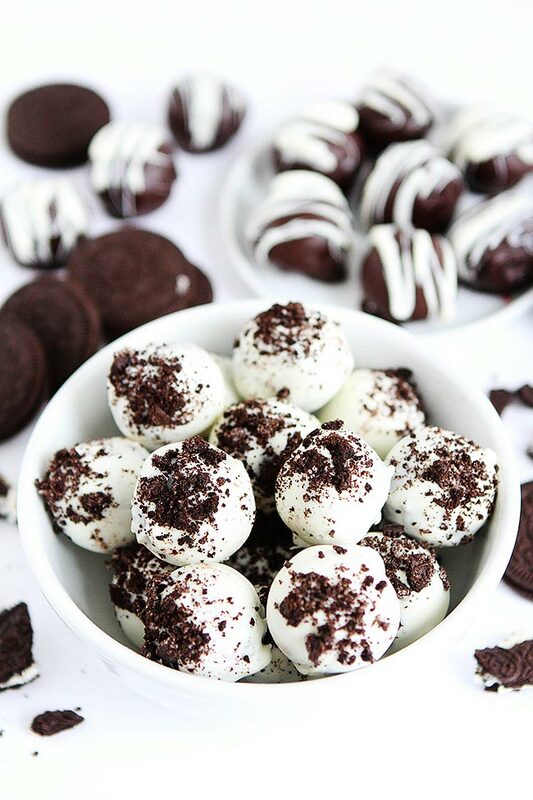 You will love these easy, no-bake Oreo balls! The perfect treats for any party! Place Oreo cookies in a food processor. Pulse until they are fine cookie crumbs. Using a stand mixer or hand mixer, beat the cream cheese until it is smooth, about 1 minute. Add the Oreo cookie crumbs and mix until well combined. 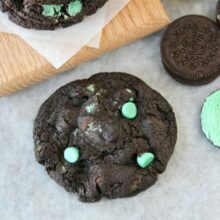 Roll the Oreo mixture into small balls and place on a baking sheet or tray that has been lined with parchment paper or wax paper. Freeze the Oreo balls for 15 minutes. Place the chocolate wafers (or candy coating) in a small microwave safe bowl. Place the white chocolate wafers (or candy coating) in a separate small microwave safe bowl. Melt according to instructions on packaging. Remove the balls from the freezer and dip the balls into the melted chocolate. Make sure you cover the balls completely in chocolate. I like to use a fork to shake the excess chocolate off of the Oreo balls. Dip half of the balls in the chocolate and half in the white chocolate. Place the dipped balls back on the baking tray with parchment paper or wax paper. 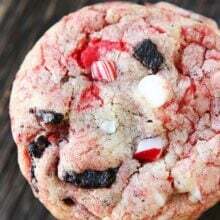 Decorate with a drizzle of chocolate, additional crushed Oreos, sprinkles, crushed peppermint or crushed nuts, if desired. Place the baking sheet with the Oreo balls in the refrigerator and chill for at least an hour. Keep stored in an airtight container in the refrigerator. The Oreo balls will keep in the fridge for up to 3 weeks. You can also freeze the balls for up to 2 months. Yum!! I love, love cake balls and have never made the Oreo version. Pinned! These are awesome. 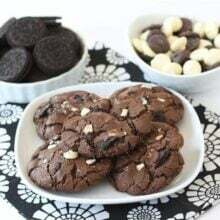 I actually made them with Kroger’s Simple Truth Gluten-Free chocolate sandwich cookies, for my sister and niece who are both GF. They were AWESOME!!! And my sister was very excited to get them. Good to know that those cookies work! Love Simple Truth!